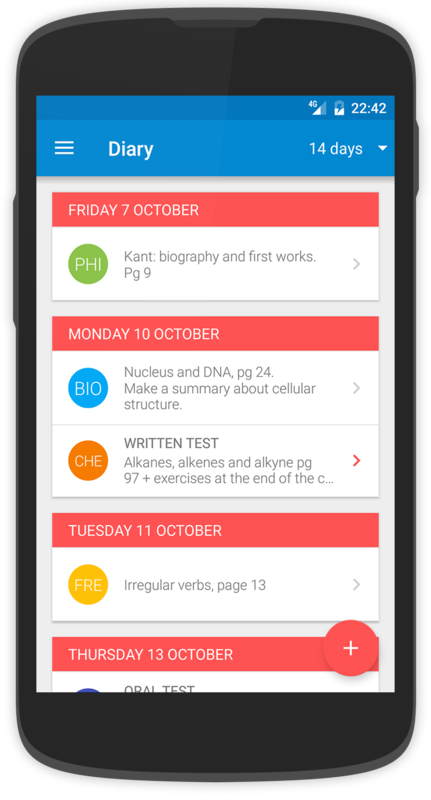 eDiary is the first school diary that allows you to share homework with your classmates and keep your subjects, timetable and grades organized. Moreover, eDiary is available completely for free! 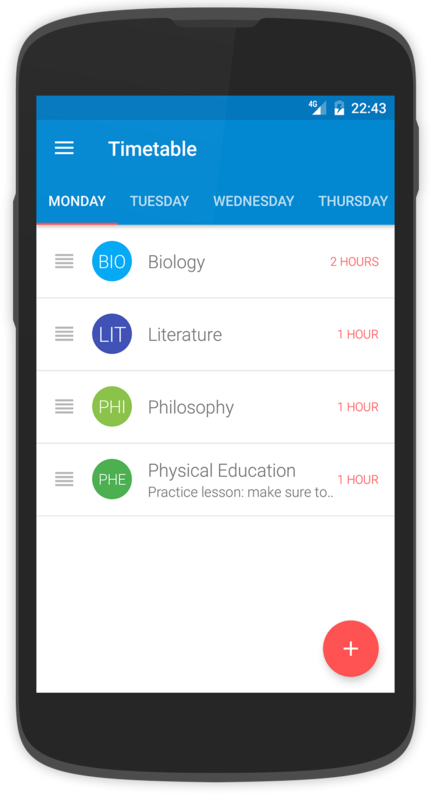 The main advantage of eDiary is that it allows you to synchronize in a simple way your homework, timetable, subjects and much more with all your classmates! Did you miss a lecture? Did you forget to take a note of the homework? That is not a problem anymore! With eDiary you won't have to worry! 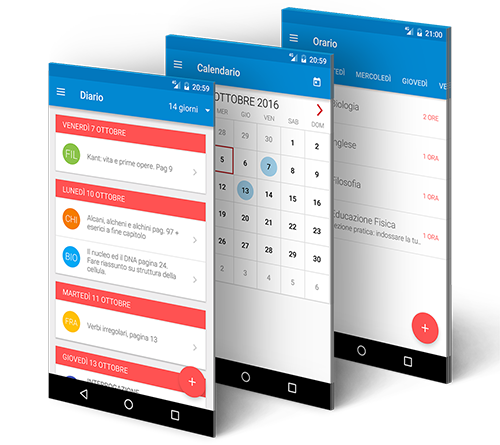 eDiary revolutionizes the idea of school diary offering all the features that you need in a single place! 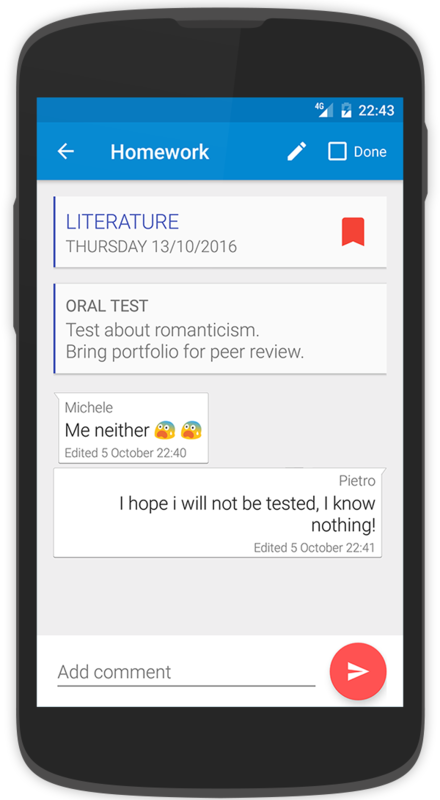 A detailed view of homework and comments, your class timetable, the possibility to add grades and compute the average grade in real time and many other features will change the way you live your school experience! Forget about the old and dusty paper diaries! You won't need them anymore! The user interface of eDiary is so beautiful and intuitive that it will be a pleasure to use it. The modern and colorful design will make you productive like never before! ... or maybe some classmate has already done it for you! 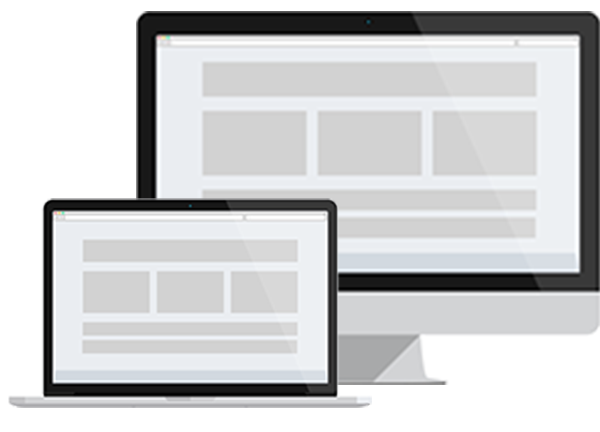 eDiary Web gives you the same features of the application and more, to make your school life even better! We are Dreamer's Pillow team! Our names are Pietro, Riccardo and Michele. We are three engineering students with a dream to change the world, but most of all we are three friends. Passion, collaboration and determination allowed us to create eDiary for students like us, making good use of our experience.